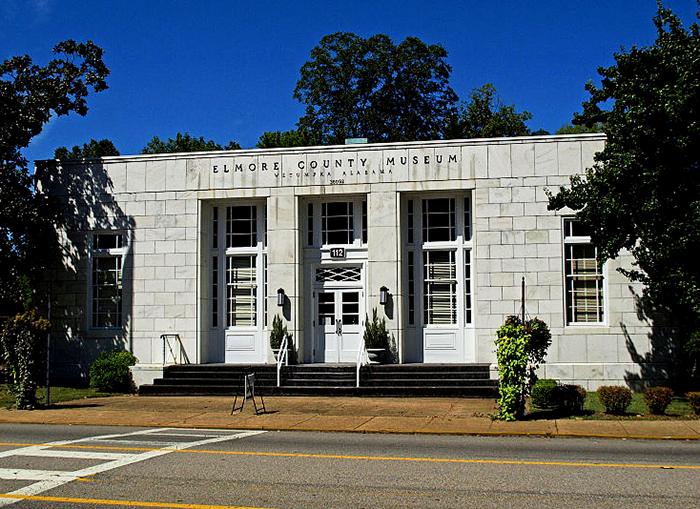 Dedicated in 1937, the Old Post Office in Wetumpka, Elmore County, serves as the Elmore County Museum. It was purchased by the city in 2002 and houses exhibits and artifacts related to county history as well as a library of genealogical information. Notable among its collections is a 300-pound wooden sculpture of a Tulotoma snail, an endangered species found in the Coosa River below Wetumpka and a very few other places in Alabama.